EMI can offer a complete range of precision O-rings conforming to international standards in both solid and cellular elastomeric materials. Ranges covered include BS1806, BS4518, AS568A, DIN 3770, SMS1586, JIS B2401 and ISO 3601, as well as non-standard O-ring sizes including miniature and micro. 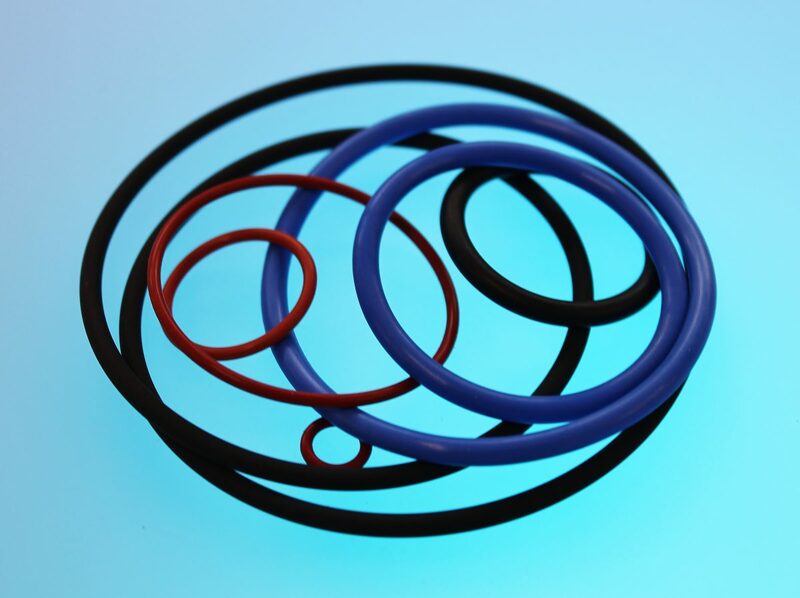 Standard solid O-ring materials include Silicone, Fluorosilicone, EPDM, Neoprene, Viton®, Nitrile, Carboxylated Nitrile, Hydrogenated Nitrile, Polyurethane, PTFE, Teflon(FEP or PFA) encapsulated O-rings, Aflas®, Isolast®, Kalrez®, or Chemraz®. Along with our Solid Elastomer O-Rings we can also offer a limited number of sizes for moulded Sponge O-rings in a range of materials including, Neoprene, Nitrile, EPDM and Silicone. Although at present we have a limited range of sizes we can lay down new tooling if there is sufficient requirement. To compliment our range of moulded O-Rings we also keep a wide range of sponge and solid cord sections in stock ready to be bonded or vulcanised in to continuous rings. For further information please contact us to discuss your applications with our technical or relationship management teams. Full technical Data Sheets are available for all materials and grades listed, please click on the materials below to see further material specific information.